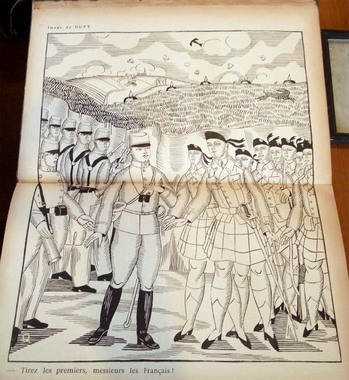 In August 1914, when war was declared with Germany, Jean Cocteau was twenty-five years old. Like many patriotic young Frenchmen, Cocteau tried to enlist but was turned down because of his health. 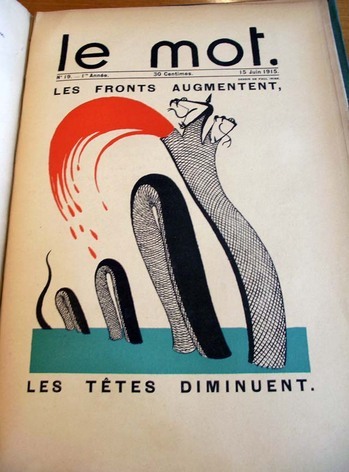 Looking for other ways to serve his country and the war effort, he joined with the illustrator Paul Iribe (1883-1935) to publish a fortnightly journal, called Le Mot (The Word). 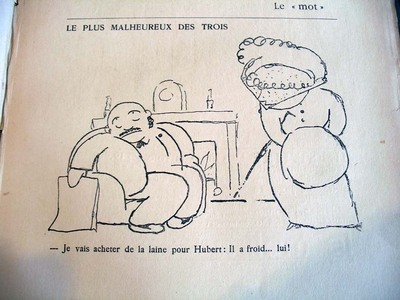 As a teenager, Iribe drew illustrations for the popular caricature journal L’Assiette au Beurre (The Butter Plate), which ran from 1902 to 1912 (Ex Oversize 0904.133q). He also freelanced for Rire, Sourire and other periodicals, so Iribe was enthusiastic about starting a journal of his own. Cocteau contributed both image and text, signing his drawings with the pseudonym Jim (the name of his dog). 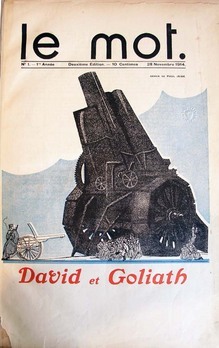 The first issue was released on November 28, 1914 and by January, the magazine had gone weekly. 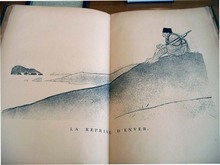 Other contributors included Léon Bakst (1866-1924); Raoul.Dufy (1877-1953); Albert Gleizes (1881-1953); André Lhote (1885-1962); and SEM (Georges Goursat 1863-1934). 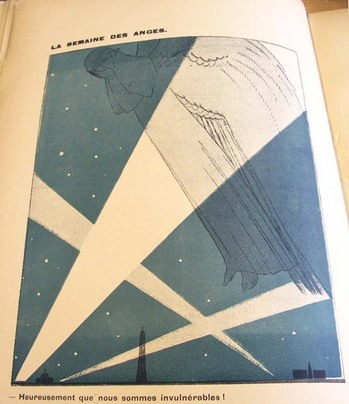 Unfortunately, both Iribe and Cocteau were involved with too many projects to keep Le Mot flourishing for long and after only 20 issues it ended on July 1, 1915.